According to the CDC, in 2014, 1 in 68 children are diagnosed with autism. My brother is a one of those individuals with autism. Autism has had and will likely to continue to have a huge impact on my life. And like many who are diagnosed with autism, my brother has other developmental issues he also deals with on a daily basis. My brother is not only autistic, he has been diagnosed with bipolar disorder, attention deficit hyperactivity disorder, and obsessive-compulsive disorder. This experience of living with a sibling with autism and other disorders has shaped me into the young man that I am today from not only what I have been able to learn from my love for my brother but also because of living in a wonderful family impacted by autism. Despite his unique challenges, my brother has always been a blessing to my family and me and has helped me recognize that as his brother, I have a responsibility to not only be there for him but also help others who have a sibling with autism. To help others be the best brother or sister for their sibling with autism, I teamed up with the Autism Society of America in 2014, the nation’s oldest and largest grassroots organization helping individuals with autism maximize their quality of life each and every day. 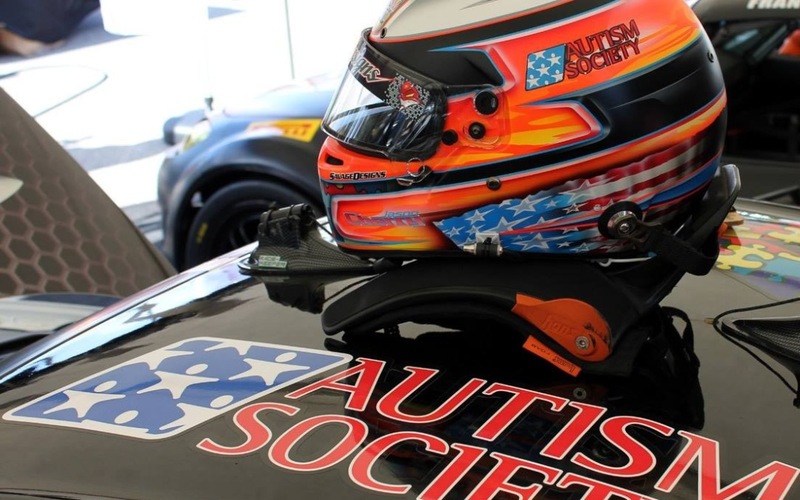 As a professional race car driver and entrepreneur, my mission is to drive awareness and raise funds for the Autism Society of America and its 104 local and state affiliates to provide programs that will assist those impacted by autism including siblings. These sibling programs will include respite funds, scholarship programs, and outreach programs. • RESPITE: Respite serves as a deep breath for family members impacted by autism by providing regularly scheduled relief for the family—and support them with their mental, physical, and emotional being so they can always be there for their family members with autism. Many families across the nation are currently not receiving these services. Funds raised will help provide respite for families who cannot afford it on their own. • SCHOLARSHIPS: Many people who are not impacted by autism fail to realize how expensive it is for a family to raise a child on the autism spectrum. This directly affects the other children in the household as often times the family’s limited income must be used to support the needed services and support for the family member with autism sometimes at the expense needs of others in the family, such as college educations. Funds raised will help create scholarships for educational and other needed opportunities for those that have a sibling on the spectrum. • OUTREACH PROGRAMS: Funds raised will help to develop programs to connect and support siblings of individuals on the spectrum via shared experiences, peer group support, and professional counseling. A long-term goal, in partnership with the Autism Society of America, is to create a sibling board that will advocate at the federal level on policies that impact those on the autism spectrum, including siblings. To help the over 3,000,000 individuals estimated to be living with autism and the close to additional 10,000,000 family members impacted by autism, I am committed to the Autism Society of America and would ask that you join me.